Match ends, Forest Green Rovers 4, Cheltenham Town 0. Second Half ends, Forest Green Rovers 4, Cheltenham Town 0. Goal! Forest Green Rovers 4, Cheltenham Town 0. Isaac Pearce (Forest Green Rovers) right footed shot from the centre of the box to the bottom left corner. Assisted by George Williams. Attempt saved. Isaac Pearce (Forest Green Rovers) right footed shot from the centre of the box is saved in the bottom right corner. Goal! Forest Green Rovers 3, Cheltenham Town 0. 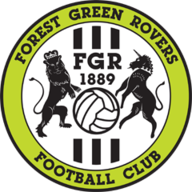 George Williams (Forest Green Rovers) right footed shot from the left side of the box to the bottom right corner. Assisted by Tahvon Campbell. Attempt missed. Kelsey Mooney (Cheltenham Town) header from the centre of the box misses to the left. Corner, Forest Green Rovers. Conceded by Kelsey Mooney. Foul by Tahvon Campbell (Forest Green Rovers). Johnny Mullins (Cheltenham Town) wins a free kick on the left wing. Substitution, Cheltenham Town. Kalvin Kalala replaces Sam Jones. Attempt missed. Tyrone Barnett (Cheltenham Town) right footed shot from the centre of the box is close, but misses to the left. Attempt saved. Nathan McGinley (Forest Green Rovers) header from the centre of the box is saved in the top left corner. Corner, Forest Green Rovers. Conceded by Rhys Lovett. Attempt saved. Dayle Grubb (Forest Green Rovers) left footed shot from outside the box is saved in the bottom right corner. Attempt missed. Dayle Grubb (Forest Green Rovers) right footed shot from the left side of the box is close, but misses to the right. Foul by Theo Archibald (Forest Green Rovers). Jordon Forster (Cheltenham Town) wins a free kick on the left wing. Dayle Grubb (Forest Green Rovers) wins a free kick in the defensive half. Foul by Johnny Mullins (Cheltenham Town). Substitution, Forest Green Rovers. Isaac Pearce replaces Ben Morris. Ben Morris (Forest Green Rovers) wins a free kick in the defensive half. Substitution, Forest Green Rovers. Reece Brown replaces Carl Winchester. Attempt saved. George Williams (Forest Green Rovers) right footed shot from the right side of the box is saved in the top right corner. Attempt blocked. Chris Clements (Cheltenham Town) right footed shot from outside the box is blocked. Attempt missed. Nathan McGinley (Forest Green Rovers) header from very close range is just a bit too high. Jordon Forster (Cheltenham Town) is shown the yellow card for a bad foul. Tahvon Campbell (Forest Green Rovers) wins a free kick in the defensive half. Substitution, Cheltenham Town. Tyrone Barnett replaces Immanuelson Duku. Attempt missed. Carl Winchester (Forest Green Rovers) right footed shot from more than 35 yards misses to the right. Sam Jones (Cheltenham Town) wins a free kick in the defensive half. Foul by Kelsey Mooney (Cheltenham Town). Attempt saved. Immanuelson Duku (Cheltenham Town) left footed shot from the centre of the box is saved in the top centre of the goal. Foul by Immanuelson Duku (Cheltenham Town). Goal! Forest Green Rovers 2, Cheltenham Town 0. Tahvon Campbell (Forest Green Rovers) right footed shot from very close range to the top right corner. Corner, Forest Green Rovers. Conceded by Tom Field. Substitution, Forest Green Rovers. Lee Collins replaces Liam Shephard. Second Half begins Forest Green Rovers 1, Cheltenham Town 0. Substitution, Cheltenham Town. Nigel Atangana replaces Kevin Dawson. First Half ends, Forest Green Rovers 1, Cheltenham Town 0. Attempt missed. Kelsey Mooney (Cheltenham Town) right footed shot from a difficult angle on the left is too high. Attempt blocked. Ryan Broom (Cheltenham Town) right footed shot from outside the box is blocked. Attempt saved. Ryan Broom (Cheltenham Town) right footed shot from outside the box is saved in the bottom left corner. Attempt blocked. Ryan Broom (Cheltenham Town) right footed shot from the left side of the box is blocked. Corner, Forest Green Rovers. Conceded by Johnny Mullins. Hand ball by George Williams (Forest Green Rovers). Attempt saved. Liam Shephard (Forest Green Rovers) right footed shot from the right side of the box is saved in the bottom left corner. Foul by Matt Worthington (Forest Green Rovers). Theo Archibald (Forest Green Rovers) wins a free kick in the attacking half. 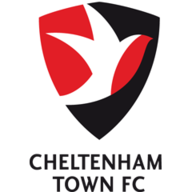 (Cheltenham Town) wins a free kick in the defensive half. Chris Clements (Cheltenham Town) is shown the yellow card. Corner, Forest Green Rovers. Conceded by Chris Clements. Tom Field (Cheltenham Town) is shown the yellow card for a bad foul. Tahvon Campbell (Forest Green Rovers) wins a free kick on the right wing. Foul by Tom Field (Cheltenham Town). Kelsey Mooney (Cheltenham Town) wins a free kick in the defensive half. Goal! Forest Green Rovers 1, Cheltenham Town 0. Dayle Grubb (Forest Green Rovers) right footed shot from the centre of the box to the bottom right corner. Attempt saved. Immanuelson Duku (Cheltenham Town) left footed shot from outside the box is saved in the centre of the goal. Kelsey Mooney (Cheltenham Town) wins a free kick on the left wing. Foul by Liam Shephard (Forest Green Rovers). Hand ball by Chris Clements (Cheltenham Town).